In order to succeed in the current economy and to ensure sustainability, law firms must constantly review and refine the way they conduct business. Although lawyers have likely heard of agile, lean, six sigma, and other technology-driven management systems, Legal Project Management (LPM) has been tailored to the practice of law specifically. So how do law firms use LPM practices to scope, plan, and manage legal work efficiently, with a cost-effective structure for clients? In this episode of The Legal Toolkit, Heidi Alexander interviews Edge International GC and LPM advisor Pam Woldow about the five steps of the project management system, how it has specifically helped law firms she works with, and how to implement LPM in your large law firm or small practice. Pam goes over the essentials; in order to be truly efficient, lawyers must communicate properly with clients, create an intricate plan, monitor work, and review. She discusses the ways technology can assist these processes and how these concepts can be scaled to a solo or small firm practice. Tune in to hear specific details about where lawyers can start implementing this today. 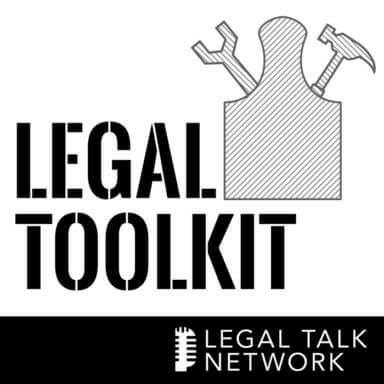 Heidi Alexander: Hello and welcome to a new episode of the Legal Toolkit here on Legal Talk Network. I’m your host, Heidi Alexander. I’m also a law practice advisor with Massachusetts LOMAP. LOMAP provides free and confidential law practice management consulting services to Massachusetts attorneys. For more information on LOMAP’s offerings, visit our website at MassLOMAP.org. Here on the Legal Toolkit, my co host, Jared Correia and I, provide you with a new tool each month to add to your own Legal Toolkit so that your practices will become more and more like best practices. Before we get started, we’d like to thank our sponsor: Amicus Attorney, the world’s leading practice management solution for lawyers. Amicus Attorney helps manage your law firm so that you can concentrate on being a lawyer. To learn more, visit AmicusAttorney.com. Today we’ll be chatting about a popular method to improve your law firm’s efficiency in delivering legal services, and that’s legal project management. I think many would agree, including my guest, that in order to succeed in the current economy and to ensure sustainability, law firms must constantly review and refine the way that they conduct business. So why not do it in an organized manner with a proven method such as legal project management? With the help of my guest today, Pam Woldow, a pioneer and expert in the field of legal project management, will discover the secrets of legal project management and see what sets it apart from other methods, what it aims to do, why it’s effective, and of course, how to do it effectively. Pam is a partner and general counsel for the global legal consulting firm, Edge International. Before then, she held similar positions at Altman Weil, served as deputy general counsel of Pennsylvania and chief counsel of the Pennsylvania Department of Insurance, and directed litigation management for a public financial services company. Pam also advises law firms and corporate legal departments in Legal Project Management and she is the co-author of “Legal Project Management in One Hour for Lawyers,” an ABA law practice division publication. And in addition, here blog, At the Intersection, was named one of the top 100 legal blogs by the ABA Journal. So thanks for joining me today, Pam. Pam Woldow: Thank you, Heidi, I’m so delighted to be here and talking with you about my favorite subject. Heidi Alexander: Excellent. Well, you certainly are an expert on the matter. When it comes to creating law firm efficiencies, we hear concepts like agile, lean, six sigma, process improvement. How does legal project management fit in with those and what is it really about at its core? Pam Woldow: All of those concepts you were talking about, agile, lean, six sigma, they’re all kind of different flavors of ice cream. They’re different approaches to project management and they grow out of industrial project management. So I want to really distinguish legal project management from that and sort of demystify it because a lot of lawyers are afraid that it’s this complicated, highly technical technology-driven methodology that evil oppressors and their firms want to impose on their practice of law, and it’s not that at all. Agile, six sigma and other non legal forms of project management are intended to drive greater efficiency – a good thing – predictability and consistency in how work is done. But those methods grew out, as I said, of industrial and manufacturing processes where the goal was to minimize variation in manufacturing or research settings. So you want to have car doors that have very little variation rolling off the assembly line. So project management of those stripes that we just mentioned really can help to accomplish that. But legal project management, while it draws on some of the discipline of it, is really different because it’s addressing how lawyers do things as human beings, not as industrial processes. So LPM is a common sense approach to organizing and performing legal work, and it operates in a world where we already know there’s going to be differences and variables and variations. So it’s intended to help organize and create greater consistency in how that work is done, but not to make anything identical or to remove judgement or any expertise that lawyers bring to it. But to focus on what kind of work we’re doing, how can we do it more efficiently, how can we bring a structure to it that allows it to be more cost-efficient for our clients. So there’s a fancy definition for it and I’ll just repeat it for you: LPM is a systematic approach for scoping, planning and managing legal work within time, budget, and performance requirements. And that’s really what LPM is. We can talk about the five steps of it and so forth later, but it really helps lawyers to lawyer better. Heidi Alexander: Okay, so that helps expel some of the confusion around the terms. Let’s take that just a bit further to help us understand the value of LPM. Can you give us a case example of how LPM has improved a law firm’s efficiency, maybe from your own work? Pam Woldow: Sure. I may have to give you a couple of different ones to illustrate because there’s different points along the compass of legal project management. If we look externally first, let’s talk about LPM in use with clients first. If a lawyer is using the discipline of LPM at the front end of a matter – the scoping, if you will – that’s really an ordinary part in finding out what clients want. It is kind of surprising, really, how poorly many lawyers scope or figure out what their clients want; there’s often a lot of assumption. If they’re giving me a piece of litigation, they must want to win and they want me to do it in the way I’ve always done it, instead of really finding out what the client wants. The client could want that this matter be resolved very rapidly. It could be that they want to drag this out for a long time because they have cash flow issues or there’s a merger and acquisition in another part of the company and this matter is being put on the back burner until there’s cash flow from that M&A transaction. There’s all kinds of things in the larger arena of client life, and lawyers don’t tend to get to that information so that the inefficiency comes, that they will assume what needs to be done, do it, the client gets a ten page memo that they didn’t want, and now you have a conflict. Somebody doesn’t want to pay that bill or is unhappy with the lawyers because they didn’t understand what the client wants. So scoping, in my estimation, is probably the best bit of business development and efficiency that can be driven into the delivery of legal services, because before you get started, you find out really what the client wants, not what you think they want. So that’s one step of inefficiency that goes with a client. Internally, communication. Clients these days – whether they’re small, medium or large – have a lot of budget concerns and cost constraints. Some of them are asking for budgets from clients before they even get going on a given matter. But something really interesting happened. I’ve been doing this for ten years now, and for almost ten years, when I go into a firm that is having some difficulty with a matter or with a client and they’re worried about it, I’ll ask the members of the team who are working on that matter, “Do you know what the budget is for this matter? Have you seen it?” And about 99% of the time, the other people working on it have no idea what the budget is. So they’re doing work sometimes that’s outside of what they should be doing, they’re not understanding the cost constraints, so a lot of time is being written off or being written down by the partner in charge, which is a loss. That’s money down the drain, and so it’s hyper inefficient; that’s one example. The other example, the last one I’ll give, is on big teams. If you have a large team of lawyers working on a matter, communication is really critical. And I don’t know if you’ve ever sat on any of those calls where they put a whole group on a conference call once a week and we run through everybody says what they’ve done. I finished this, I finished this, I finished that, and we all have to sit there and listen to all of this. it is an incredible waste of time, hideously inefficient, very expensive for clients, and not a good use of time at all. There are processes used through LPM that keep people up to speed and communicate where people are so you don’t have to sit there in real time and run through it. So those are just a couple of examples of how you can achieve greater efficiencies both outside with your client and internally with your team. Heidi Alexander: So it’s very clear that there’s sufficient value to LPM. And assuming that an attorney or a law firm is new to this concept, what do you say is the best way to get started with LPM in a law firm? Pam Woldow: I’m going to be cynical just for a moment here and my legal rebel hat on for a moment. The best way to get started as from what I’ve seen is when a client really wants efficiency, is articulating that, may even be saying, “Tell me, are you using project management for your legal matters? Show it to me. Demonstrate it. Use it on my matter.” When a client says, “This is what I want,” buy-in happens in a nano second. We don’t have to worry about changed management and lawyers who are resistant to change, because clients are the alpha and omega of why law firms exist. So short of that, if you wanted to just start legal project management within a practice group or within a law firm at large, you really have to have some buy-in from a leader within the firm, whether that’s executive, management, or just a practice group leader if that’s where it’s going to start. And pull the leader and whomever is going to be doing that – let’s just take it on a client team or a practice group level for a moment. You have to pull them together and make the case and say, “Here’s the challenge, here’s why we’re doing this, and this is what we have to do in order to grow a market, share with our clients, stay competitive, win a current matter, win an RFP. This is what we have to be able to do, because they have to be convinced of it.” And then you have to have a starting point, that’s sort of a baby step. We all create matter budgets, even if the clients don’t require them as an example. Or we’ll create task codes and we’re going to start using those task codes when we build so we can build up some data on what things cost so we’ll know what things cost. And when we know that, we can price more effectively, we can be more profitable. So you have to get started – like I said, it’ll happen instantly if a client wants it, or otherwise it’s more of a process taking small steps and consistently adding more items in from legal project management. It has to be some training, because it’s not intuitive to lawyers. What’s intuitive to lawyers is to do things the way they’ve always done it. So there has to be some level of training for them so they can understand what it is that they have to do and how they can apply that within their own discipline. Heidi Alexander: So in your ten years of doing this work, are you seeing more firms being open to this idea and more and more firms using LPM in their practices? Pam Woldow: Yes, absolutely. Kind of early on in the beginning, you saw the real forward thinking firms grab hold of this and begin to use it. Because their managing partners or executive committees could see the business development aspects of this and see how it would differentiate their firm from other firms, because it aligns you absolutely with a client. It’s kind of a no-brainer in my estimation and you saw that happen. Now I’d say you tend to see it more either by client team or practice group. There are three big areas where the greatest cost constraints have caused practice groups to raise their hands and say, “We need LPM.” I would say employment litigation, patent disputes, and general business litigation have been the three practice areas that are the most common ones to start with this because they’re feeling the cost pressures. Heidi Alexander: Thank you for that. We do need to take a quick break but stay tuned because after the break, we’ll be talking more about the process of legal project management, LPM and how it works. Heidi Alexander: Welcome back to the second half of our show with Pam Woldow, partner and GC of Edge International. Let’s talk a bit more specifics about LPM. In your book, Law Practice Management in One Hour for Lawyers, you identified five steps of legal project management. Can you walk us through those five steps with a practical example from your own work? Pam Woldow: Sure. The five steps are scoping, planning, managing the work or doing the work, monitoring it as you go along, and reviewing at the end. Scoping we talked about earlier and I view that as the single most important step, because it is currently done so poorly by most lawyers. Scoping is really the phase of asking good questions and big picture questions of clients when a matter comes into a law firm. And it’s not just asking about the specific legal matter, because that’s where most lawyers tend to go. They’ll start with the nitty gritty details of a matter, which are also important, but it’s not the best place to start. It happens to be the comfort zone for lawyers, but clients are in a business. No matter what size the company, they have business problems. I’ll give you an example: There’s a general counsel of a major global software company who recently said to me, “We have no legal problems.” I was sort of like, right, because no. All we have are business problems that lawyers can help us solve. And it is with that mindset that scoping begins. Scoping suggests something called a funnel approach, starting at the broad end of the funnel and asking broad business questions about the client. Why is this important? How is it important? How does it impact your company? What is it that you want to achieve and how will that impact the business unit that this comes out of? Asking big questions before you start asking how many witnesses will there be and where are the documents and how many boxes are there. Asking big questions allows clients to really give you a view of what the larger problem is that lawyers are solving for them. In doing so, lawyers really get a sense of how best to suggest ultimate resolution or approaches to the problem. So scoping is really important, we spend a lot of time on it when we’re teaching it. Like I said, lawyers tend so quickly to go to only the narrow view of the legal problem. So we’ve done an exercise for years where we have a problem that we give to lawyers in training and we bring in a general counsel to play that role and they could ask whatever questions they want after being taught how to scope. And a very large percentage of the tie, the lawyers will still go down to the bottom of the funnel and ask the nitty gritty questions. And that general counsel had all kinds of facts that he or she knows about and we always ask at the end, what did they not learn about you, your business, or this matter that they should have, and it’s always stunning to the lawyers because they missed so much by asking narrow questions. So that’s one example. And scoping gets you into trouble. Scoping is a constant problem if you haven’t asked the big questions as I said earlier. Billing issues are probably the first symptoms you’ll see because that suggests if you’re having to push back on your bills, that you didn’t scope it right at the beginning. Planning is the second step of it and planning has a number of pieces to it. Planning – which also often lawyers don’t spend much time doing – is really now that we know where we’re heading with the client, who should do it, what’s our timelines, what’s it going to cost, what kinds of things might go wrong that we should plan for, and how are we all going to communicate internally and with the client. Those are the elements of a good project plan. And if it’s a small matter, it may never be written down. But you need to think through the steps nonetheless. And for a complicated matter, for high dollar or high complex legal issues, there should be a project plan, and I’m seeing a lot of project plans now with clients. The best in class firms actually create scoping statements and project plans that are shared with their client. I’ll give you a great example recently where a law firm did do a very nice job of scoping and we put the scoping statement down, sent it to the client and said, “Here’s what we understand the scope to be.” And the client had the chance to reflect on it and wrote back by email and said, “You know, now that I saw this, I want to add in a good number of other things because this is too narrow, I want you to do even more.” So in that case, the law firm got more money, and more responsibility and more work by putting the scoping statement down and then they could turn that into a plan. The next phase, once you’ve done that, you’ve got your budget in place, you know who should be on the bus, your team, what kind of communication plan will be, who’s going to be communicated with and when, you move on to actually doing the work. And doing the work in accordance with the plan so that the people on the team know what the goal is for the client and know what the budget is and know who’s doing what so that there’s not duplication of efforts. It probably won’t surprise you that there’s often – particularly on larger matters – a lot of duplication of effort. People crossing over because their roles are not particularly clear. That’s something that project planning would clear up, then when you’re doing the work, you don’t have two or three people doing the same work. The next phase is monitoring things as they go along and that’s often kind of a financial review. Where are we against budget? How are we doing? If we said we’re going to use this much time or spend this much money, are we on time and on budget? A very important thing to be asking. To get financial reports, you can talk to people, but making sure that if you made a promise to the client, either time or money, that you’re staying in line with it. And I’ll tell you, that the hardest part of monitoring a matter is not getting reports from finance and it’s not keeping people aware of the budgets in time entry. It’s a really interesting thing. I had an example recently where a firm won a very significant piece of business from a client that they have trying to bring in the firm for three years. They finally got the client, they got this lovely piece of litigation, but it’s going to be quite budget constrained. The firm put together a very nice budget. The clients on board said, “I want to check in with you every two weeks. I want to know because this is a big bite out of our corporate legal budget.” So every two weeks, the partner and the client were on the phone looking at that budget and seeing where the firm was against budget. In the third month of this engagement, they had that mid month call. Things were hunkydory, but at the end of the month, all of a sudden the report came in for the partner and he looked at it and they were 190% over budget in that month. Now, what’s he going to do? He’s going to call the client and say two weeks after we said things are fine and they’re not fine? And the reason was that the team had not been putting their time in. So that monitoring was not good enough. He needs to know monitor in a different way, he also needs to have a serious chat with his team. So monitoring is very important. Make sure that it includes reports on it, who’s wasting time. The last step of this is reviewing. Some people call it after action review, some people call it post project review. Whatever it is, it’s the one step that probably never happens ever in 99.9% of law firms, because people just want to close the file and get onto the next billable event rather than taking a few moments at the end to figure out these two things. What did we do well and what can we improve for next time. Asking of your team, briefly, and of your client, and when you have those conversations with your client, you learn so much about what they think is important. What I have found in the reviewing process with your client is the best business development tool I have ever observed in my 25 years of consulting. It is amazing what happens when you sit down with a client and say, “How can we improve for next time,” because then you’re building a relationship. You’re also in the mindset of companies and their continuous improvement emphasis because you’re talking the language of business. So very important thing to do in the end. Heidi Alexander: This is all very helpful and I don’t want to say you make it sound easy, but you make it sound a lot simpler than I would have thought. So some of our veteran listeners might know that I love technology and I love applying technology to law practice. Is technology helpful to legal project management and if so do you have any recommendations on its use? Pam Woldow: Technology is absolutely helpful. If you’re monitoring a matter, it would be so helpful instead of having to request special reports all the time to have a dashboard. Something you could look up and the partner could look at all the matters and there would be a very simple dashboard and saying here’s where we are, here’s the people, here’s the last time they released their time or whatever it is or by phase or tracked by the budget you gave your client. You could see where you are at all times. There are technological tools now, there’s software that permits that. And it’s getting much better, it was way too complicated. In the early iteration of LPM software, probably made technological people just giddy, so happy; it did everything but wash your windows, but lawyers absolutely rejected it. The early software is now dead, by the way, and the reason is is that lawyers need an interface that is quickly. There’s something called the two click rule. If a lawyer has to do more than two clicks to get the information off a piece of LPM software, they won’t do it. So everybody scrambled to make sure that the interface is simple enough that you could click into your scope, you could click into your budget, you can look at your team communications or where you are against budget or whatever it is you need within two clicks. The one admonition I have about software with LPM is that some firms view the software as a solution. And actually, technology and LPM software is the tail that should not wag the dog, because you have to have the mindset of LPM. You have to be willing to talk with your clients, scope things, really understand the emphasis of being efficient, because software won’t make you any of those things. Software won’t scope for you, software won’t budget for you. It still requires the discipline and mindset of project management. But there is no question that it makes life much easier to have interfaces where everybody on the team can look in and see whatever they need to see. One example, an easy example, about a recommendation is a lot of clients have something called client guidelines. They spend a lot of time drafting these documents, sometimes they’re 40 pages long; but it’s all the stuff the client says is important. This is how we want things done, this is how we want to be billed, this is how we want bills, when we want reports and on and on; and a lot of times the team doesn’t even know that. So they’re sending bills in or writing up time entries that don’t comply with client guidelines. One thing that’s really helpful is to have all relevant documents available to the team through some type of a dashboard. It could be an extranet that everybody could access, it could be LPM software. Whatever it is, keeping people in the communication loop and in the information loop is really important and technology is brilliant at that. I don’t want to recommend any specific products, there are a lot of them out there. I have no relationship with any technology company, and so if I mention them, I fear that it may sound like it’s an inframatter for one or more of them. Heidi Alexander: Well, this is great advice, so I appreciate it. And I noticed that many of the resources just in our discussion today on LPM apply primarily to large law firms and legal departments. Are the concepts scaleable to solo and small firms and if so, can you tell us how? Pam Woldow: Sure. There are the really fancy shmancy big products that are so expensive, you’re right, that only big law firms would want to make that investment. There actually are now some products that are geared specifically for solos and small law firms. There’s an entire suite of them that are out there now that help manage. Some of them are called legal project management, some of them are practice management tools, and they’re very much – I think – amazingly sophisticated for project management and well within the reach of solo practitioners or small firms. What I find often is that there’s actually sometimes a greater need for small firms or solo practitioners to use legal project management because many of their clients may have even more significant cost constraints. If you’re dealing with the Microsofts or the Googles or the Sonys or the Kias or the General Motors of the world, those companies are the kind of companies that can pay rates and they can help fund software that will manage their matters. But if you’re dealing with smaller companies and family owned businesses, their cost constraints are sometimes much greater and the solo practitioners and small firms need to be efficient in what they do so that they can serve those clients in ways that make sense. It’s been interesting that I say in the last two to three years, we’ve seen many, many more solo practitioners and small to mid sized firms embrace legal project management. Heidi Alexander: That’s great. Well, this has been a great learning experience for me and hopefully for our listeners as well. But I’m sad to report that we’ve reached the end of another episode of the Legal Toolkit. I do want to thank my guest, Pam Woldow, for taking the time to drop by our virtual studio. Pam, if our listeners would like to learn more about you and your consulting practice, how would they go about doing so? Pam Woldow: They can call me on the phone and my phone number is (610) 660-9550, or they can email me. And my email is [email protected], and I’d be delighted. The other thing is if anybody listening wants to contact me, I provide a list of LPM resources, software resources. I keep a current list, if anybody contacts me I’ll just send it to you. So make a request and I’ll be happy to forward it to you. Heidi Alexander: And you still publish to your blog quite regularly, correct?